In some parts of Southeast Asia, specifically Malaysia, Thailand, and Indonesia, Kratom plants grow and produce strains that have various benefits. The green vein Thai Kratom, in particular, is among these healing tropical trees. It has been used to combat pain as well as energize the body. The Green Riau Kratom can be found in the Indonesian islands. It contains a sweet and fragrant scent compared to other red Kratom variants which possess a more bitter aroma. It is highly potent even when used in small quantities. The Green Sumatra can also be found in Indonesia, in more northwestern parts of the islands. It has a highly alkaline quality as a result of the humidity in the area where it grows. The Green Sumatra variant is known for its stimulating and energizing effects. The Green Maeng Da can be found in Thai forests. It is considered one of the most potent and useful products and is said to provide longer-lasting effects compared to other strains. The strains of the green vein Thai Kratom can be consumed in a multitude of ways. They come in capsule, tincture, resin, and powder form. Among the most popular ways, they are consumed through powder. The leaves of the green vein Thai Kratom are dried and then turned into powder. The powder is stored in sanitized environments to ensure its high quality and potency. In powder form, it can be diluted in hot water and can be taken as a tea. – It enhances your mood. Green vein Thai Kratom can give a state of euphoria and calm. This allows you to feel more comfortable during times when there are inevitable stress and anxiety. – It makes you more alert. Studies have shown that green vein Thai Kratom can help your sharpness and even short-term memory functions. Inhaling the air from its incense can also do wonders to your central nervous system. – It helps calm you down. While you may also feel more alert and energetic with the green vein Thai Kratom, it also aids in soothing your nerves and relieving your overactive mind. It even helps dissipate worrisome thoughts that add to your mental stress. – It provides pain relief. The effects of the green vein Thai Kratom are not limited to your mental well-being. It can also help address physical pain from illnesses in the muscles and joints such as osteoporosis. 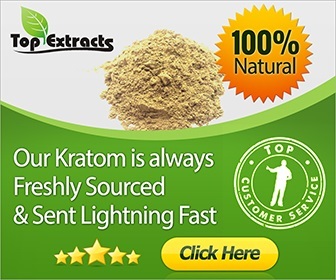 While the red Kratom strains also have their share of benefits, what makes the green vein Thai Kratom notable is that red Kratom is more suitable for nighttime use. While green vein Kratom can provide a sense of calm, usually red Kratom encourages rest and sleep. So if you want to be more productive, opt for consuming green vein Kratom instead. Exactly How Much Green Vein Thai Kratom Should One Consume? An advisable amount of green vein Thai Kratom will also depend on your tolerance for it. If you are consuming the product for the first time, it would be best to go from the lowest dosage and see how it affects you. For the minimum threshold, consume about 1.5 grams. A low and moderate dose will go from 1.5 to 3.0 grams and 3.0 to 5.0 grams, respectively. A higher dose will be around 5.0 to 8.0 grams. Be wary of taking too much product as you may also experience some side effects. 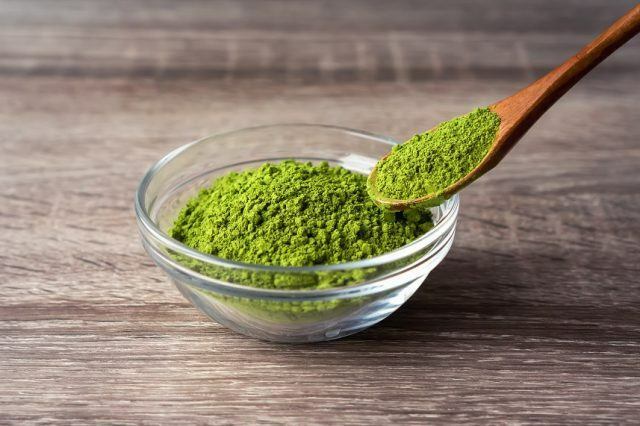 Possible aftereffects of green vein Thai Kratom include feeling irritated, experiencing gastric issues, vomiting, changes in weight, and a runny or dry nasal area. While the green vein Thai Kratom is a natural alternative to synthetic medication, it is always best to listen to your body’s reactions when consuming any product. It is also a good idea to consult a health professional when taking any new product, especially if you are also taking other medicines. Once you have checked all of these, you will hopefully enjoy the many benefits of this fantastic product from nature.